Pluto’s Party (film) Mickey Mouse cartoon; released on September 19, 1952. Directed by Milt Schaffer. 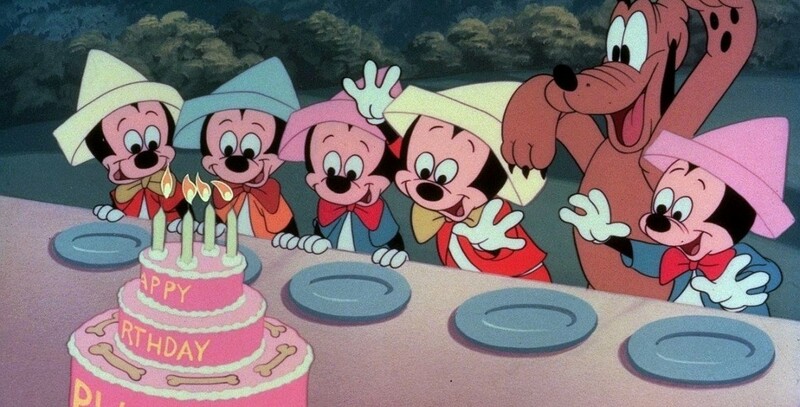 At his own birthday party, Pluto gets pushed around by the nephews and cannot even get any of his own cake until after the party when Mickey presents him with a piece he had saved.